Our approach to innovation projects is collaborative and flexible. Our experience shows us that a series of collaborative sprints focused on generating insights and ideas is the key to successful innovation outcomes. Importantly, we flex this approach to meet your needs. Innovation should be agile. That's why we respond to insights and ideas as they are conceived, and adjust the program accordingly. Our accelerated insight and idea shaping sprints and workshops make teams more agile. We typically run a series of insight and idea sprints with the client team – and consumers – to boost collaboration and co-create stronger ideas. The result: a more agile and effective approach to innovation and use of your resources. How do the sprints work? Here’s an example. Working with the team we'll define the scope, goals and deliverables. We'll agree who's involved as part of your wider x-functional team, as well as external agency and business partners, and how we include them in the process. We assign roles, responsibilities and tasks. This step is about gaining crucial insights into the problem and your users' needs and turning these insights into opportunities for innovation. Without strong insights your innovation efforts will have weak foundations. We synthesise your past consumer research into opportunities – springboards for ideas. Your internal experts will also be a source of inspiration, technical and operational insights, so we'll brief them on how to bring their observations to life. We also prepare contextual insights, i.e. parallel case studies, broader themes, trends and influences of your consumers' attitudes and behaviours. We create thought-provoking stimulus and inspiration. If necessary, we will conduct ethnography, consumer workshops, user observation and depth interviews to unlock fresh insights and fill any knowledge gaps. The outputs of this phase will include leading insights, opportunity areas and innovation platforms. 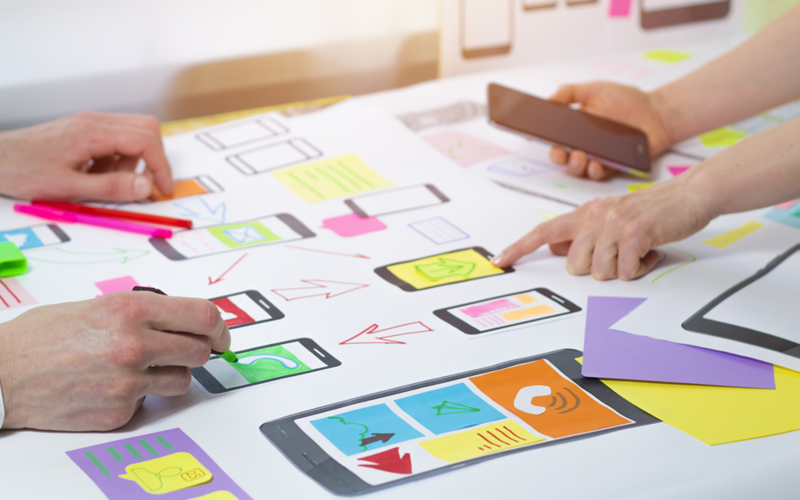 We facilitate workshops with the team to iteratively create, refine, prototype ideas to address your consumers' needs and unlock the potential of the innovation platforms. Through storyboards, mock-ups, sketches, video, prototypes and other visualisation techniques we help the team bring their ideas to life so they can pressure test them. We involve consumers via co-creation workshops to improve, strengthen and optimise ideas. Finally, we align ideas to your organisational capability, operational feasibility, business model and brand strategies. We create highly visual and engaging reports, infographics, booklets and videos that excite and motivate your team members with the innovation possibilities. Need help to accelerate your innovation? Get in contact, we’d love to help.